Roxanne has an absolute passion for creating unique weddings which are personalized from the heart. 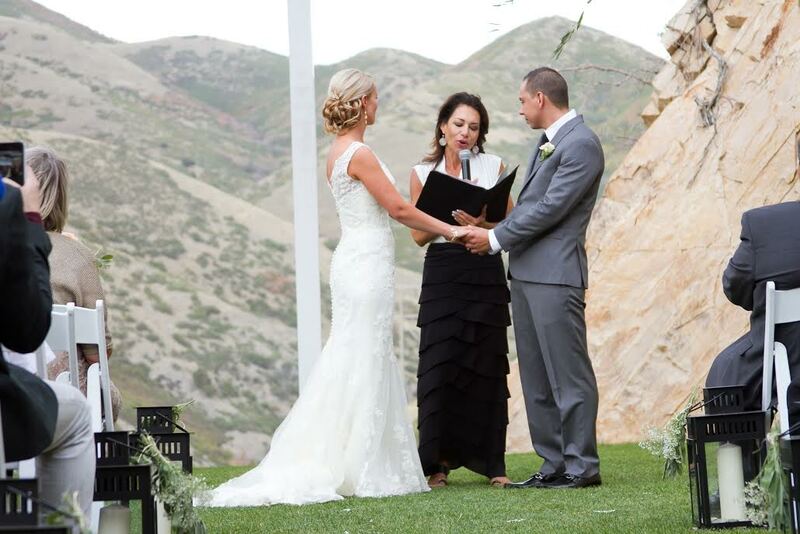 In this article, Roxanne offers some tips and pointers when looking for your Perfect Officiant. It’s YOUR day and maybe the most important day of your life! By being aware of a few simple steps in advance, which are listed below, your wedding ceremony can be the most beautiful day of love ever. Rather than relying that a phone conversation or an email will select your perfect officiant, make sure you have a face-to-face meeting if at all possible. Sometimes due to distance, face to face is not possible. So DO ask a lot of questions over the phone if this is the case. Your officiant along with you, becomes the center of your marriage vows. How else will you know this unless you meet first in person? Don’t leave anything to chance! Don’t just go on qualifications or the number of weddings performed. Having “100” so-so weddings to boast about versus 10 amazing ones…makes a big difference. Quality…not necessarily quantity. Reading a few testimonials about past services or a brief phone chat is very insightful. Ask yourself…”Do I feel like I can trust this person? Notice how organized the person is, are they listening, are they taking notes, are they asking you lots of questions. After all it is about YOU…and not them. Most important question to yourself: “Do you like this person”? Does the officiant give you options and offer to customize your ceremony to your liking? If you don’t know what you want, are they helpful in giving suggestions or past examples or stories? Even though you love your best friend or great aunt and they have offered to perform your ceremony for free, remember that a desire to perform your ceremony does not necessarily make for a great officiant. Most people mean well but are not always great in front of a crowd unless they have had some experience. Most seasoned officiants will charge anywhere between $400 and up to perform your wedding. Are there cheaper options? Yes, of course and you are free to choose. However, remember you often get what you pay for. Be willing to put some money towards the most important part of your day…don’t be disappointed by poor quality all because of saving a few dollars. You will regret doing so. Recognize that if your officiant is traveling a longer distance or spends extra time to customize your ceremony that this will result in more time and work and thus more expense for you. Make sure you know what those expenses are ~ don’t assume. And realize that with a 30 minute customized ceremony, there is a tremendous amount of “prep time” that goes into interviewing a couple, writing the ceremony, editing and re-editing to get it just right. Be open and willing to meet with several people if the first officiant you meet doesn’t seem like the best fit. Remember, it’s your special day and the officiant will be at the center of your most important moments of your wedding – the “I Do’s”.